To ensure safety of everyone this Code of Conduct and the Finnish law are to be followed during the event. Please report all accidents, misbehavior and other problems immediately to the security staff or the committee. All indecent behavior and behavior breaking this Code of Conduct will be taken seriously and the security staff will do what is needed to end the behavior. The instructions by the security, convention committee and police (etc.) are to be followed in all situations. The security have the right to remove a person violating the Code of Conduct, harassing other people or in other way misbehaving from the event (according to the Finnish law). The purpose of this Code of Conduct is not to prevent people from having fun at the convention but ensuring the safety of all the people at the convention. The goal of the Code of Conduct is not listing everything that is forbidden. Finncon is open for all people, regardless of their size, ethnicity, gender, sexual orientation, political opinions, or other internal or external trait. All harassment, discrimination or other bullying is forbidden at the event. Littering, messing up or breaking the venue is strictly forbidden. Going to the areas not part of the convention areas is also forbidden. Touching covered devices or furniture or moving furniture meant as an obstruction is not allowed. Attaching posters, ads or other papers or items to the walls of the venue is allowed only with the permission from the info desk and only in the designated areas indicated by the info desk staff. If you have a big prop or any big items, please be extremely careful when visiting the convention. Please leave all props and items bigger than a lightsaber to the cloakroom (Quantum, near the main entrance of the building). Bringing any kind of guns or things reminding of guns is mostly forbidden. Items like this are for example airsoft guns, other gun replicas, ornamental swords, all types of knives and other items resembling any kind of a weapon. The decision to ban guns and items reminding guns is based on the Finnish Public Order Act section 10 which prohibits guns and items resembling guns at public places. During the masquerade the contestant can of course carry and show the gun or weapon if it is part of the costume. Please remember safety during the show, too. Before the masquerade the gun or weapon can be left to the cloakroom. Obstructing the corridors of the venue is not allowed. Please avoid sitting on the stairs as the convention is on three floors and the stairs are heavily used. Carrying and consuming own alcoholic drinks or other intoxicating substances is strictly forbidden at the convention area and it’s close proximity. If needed, the security will confiscate the alcohol and other intoxicating substances. The security has the right to remove a misbehaving person from the event. All controlled substances (such as drugs) will be handed over to the local police. Please notice that according to the Finnish law, person under 18 is not allowed to carry alcoholic drinks and for strong spirits the age limit is 20 years. There will be no alcohol sold at the convention site. Finncon is a non-smoking event. Smoking is not allowed indoors at any time. This includes e-cigarettes or vapes. Smoking close to the entrances of the venue and close to “No smoking” signs is forbidden. Smoking is allowed only at the designated areas, far enough from the entrances. Please make sure the stubs end up in the ashtrays of the designated smoking areas. Finncon has an anti-harassment team who handle all harassment situations. 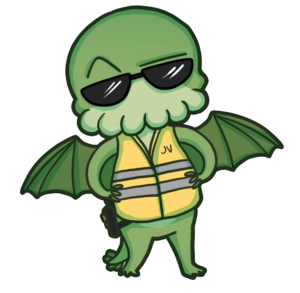 If you are being harassed in any way, or see someone else being harassed, contact the Info desk or the closest security steward (in yellow hi-vis vests) to report it. You can also call the anti-harassment team directly by phone (+358 447815518 and +358 44 781 5519). If needed, you can also reach out to anyone from the convention organisation who will help you out.